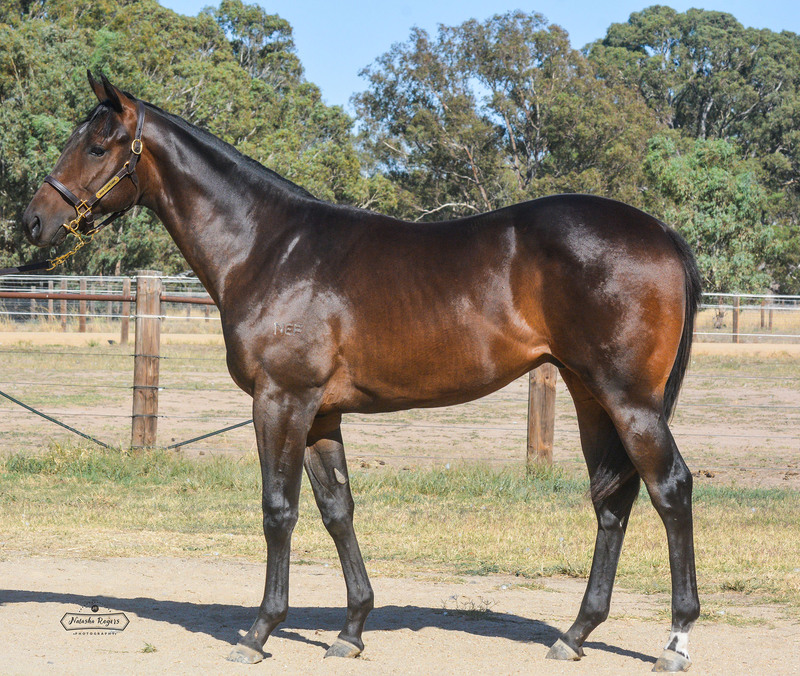 This colt by promising sire Dissident has really enjoyed his yearling preparation. His half brother Magnus Effect was a metropolitan grade horse and his three quarter sister Sebrikka looked to be a genuine Thousand Guineas hope until she succumbed to injury. 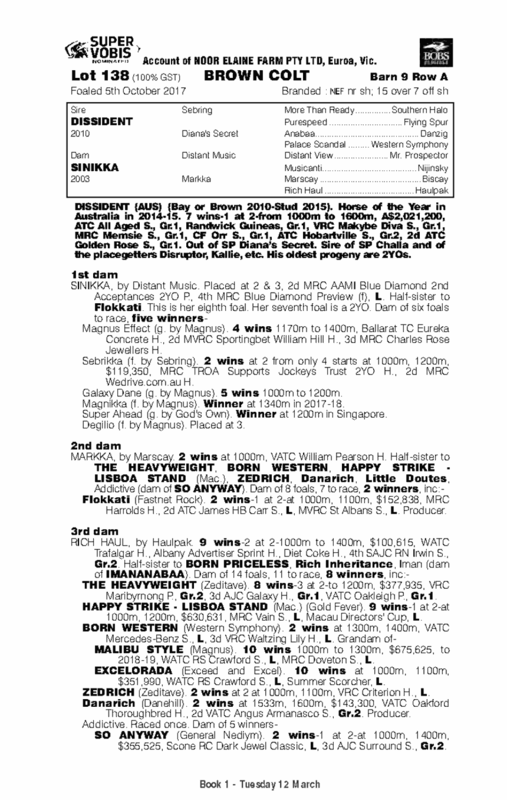 His dam Sinikka came fourth in the Blue Diamond Preview and is the dam of 5 winners to date.